TRADER 9: Trade of the day, RPRX!!! Caught a nice small bounce today on RPRX, when it started collapsing right at the open. 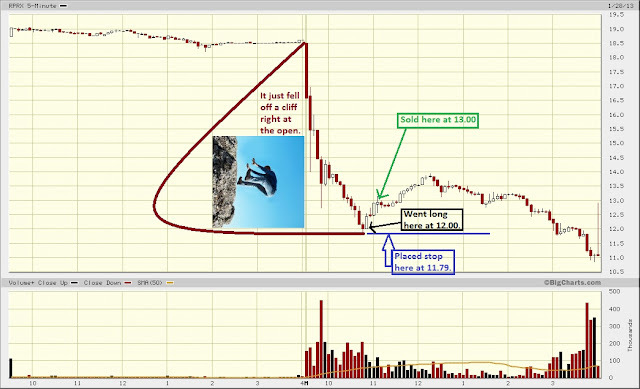 Went long 500 shares at 12.00, and was looking for a profit target around 13.00. Everything on this trade worked like clockwork, and sold RPRX right at 13.00 for a 1.00 point gain. I really couldn't have asked for a better trade this morning.